Yes you can have FREE electric.. All year. You get your money back after a short period and you MAKE MONEY each month from not having to pay massive electric bills. And if you use gas to heat water you dont need to pay for that either. The sun TAX does not apply to our solar panels. All our systems are legal and meet or exceed all CE standards. Unlike the scare adverts you can read in the press. We will tell you the facts. Electric items such as Fridges, freezers, TVs, Cookers, dishwashers, washing machines lights etc.....Can all be run from solar. Even your pool pump..!! and A/C units. Either just in the day no batteries required. Or also at night off grid with a battery system. Using your existing cables and plug sockets. We install the panels and wire them to your existing system...Simple, safe & LEGAL.!! Our special electric producing solar panels, can power a washing machine, TV, radio, kettle, fridge, computers, etc. If it's electric we can run it. Our panels have a "plug on" and put the power direct to your home, slashing your electric bill every month for 30 years. If you want FREE hot water night & day, rain or shine. Constant hot water, no cold spots. 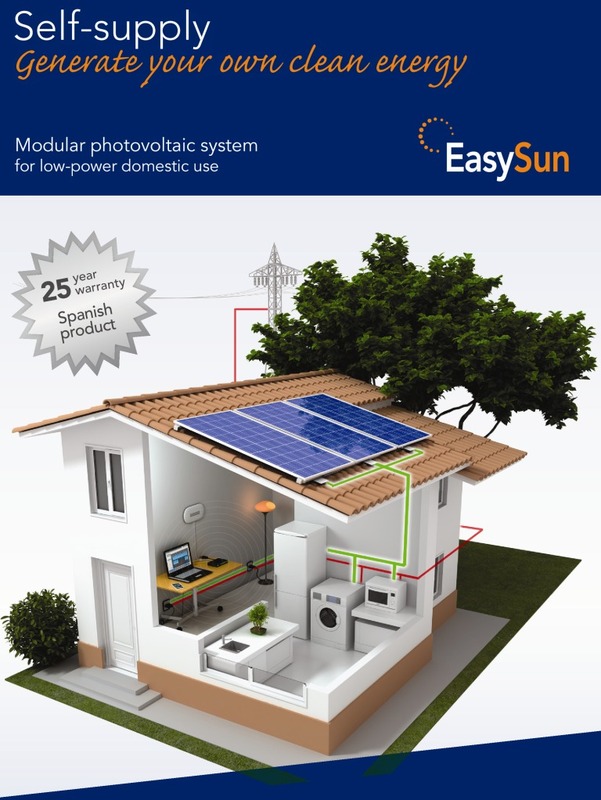 Ideal for villas, houses, apartments, mobile/static homes. Contact us we are normal people who explain in normal words how it all works.!!! For FREE "plug-in" solar electricity and FREE solar hot water, call us. How much a month you save from your electric bill depends on how many panels you have. 4 panels could save you ?80-?160 euros from your monthly bill and 6 panels ?120-?250 from your monthly bill. All without batteries.